I'm not sure whether I should post this in the kitchen gardening or plants and gardening section. Admin, feel free to move if I've posted in the wrong subforum. 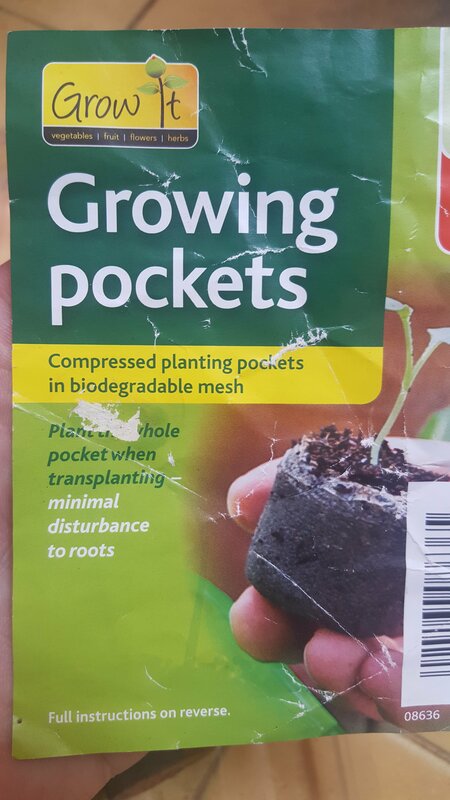 Anyways, last year when I was back home I bought a packet of "growing pockets" (see 1st photo below). 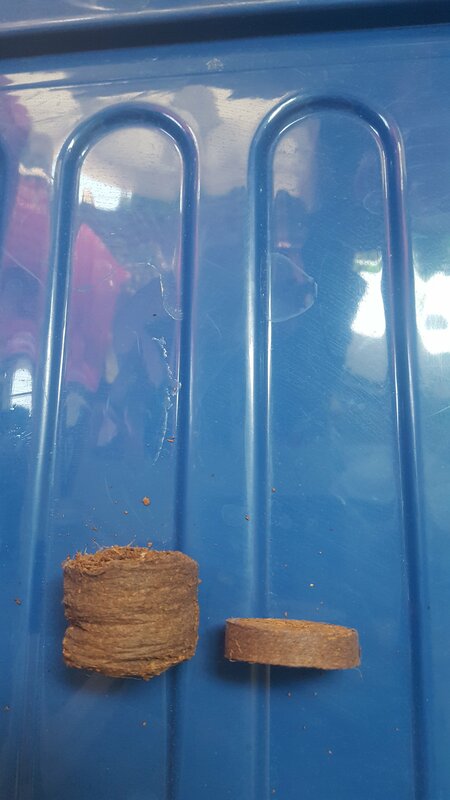 These are made of what appears to be compressed coir. There's a shallow indent in the top of the pocket where you place the seeds (see 2nd photo below). Then you place the pockets in luke warm water and they soak up the water and expand in size, upwards, not in diameter (see 3rd photo below). This usually seals the seeds inside the pocket as well. They're ideal for starting plants which don't like their roots being disturbed when planting out. Has anybody ever seen these for sale in either Bangkok or Korat? Or does anybody know if there is a company in Thailand which makes these? Unfortunately the manufacturer's details were not included on the packaging as they were made for a retailer in the UK. I have nothing against these things but I never understood their utility apart from not needing a pot. Why not find a few small pots in a 20 Baht shop and some soil at a garden centre? Thanks. I also start seeds in plastic trays or pots, which I then transfer later. However, a few plants don't like having their roots disturbed during transplanting and that's where these grow pockets come in handy. The entire thing can be buried in the soil, the roots can grow through it and because it's organic, it eventually breaks down. I just find them practical for certain veggies. Large mangotree's are sold in woven baskets of straw/bamboo so they can be planted included the basket. Cococoir is sold in bags, if you have paper bags to fill or anything else biodegradable you can use that. Our takeaway food also comes in biodegradable boxes since a year...maybe makro has biodegradable cups? But nope, i haven't seen the things you're looking for...you'll have to make your own i guess. Maybe fill a coconut with cococoir or so? Actually, those really aren't bad ideas! I never thought of that! 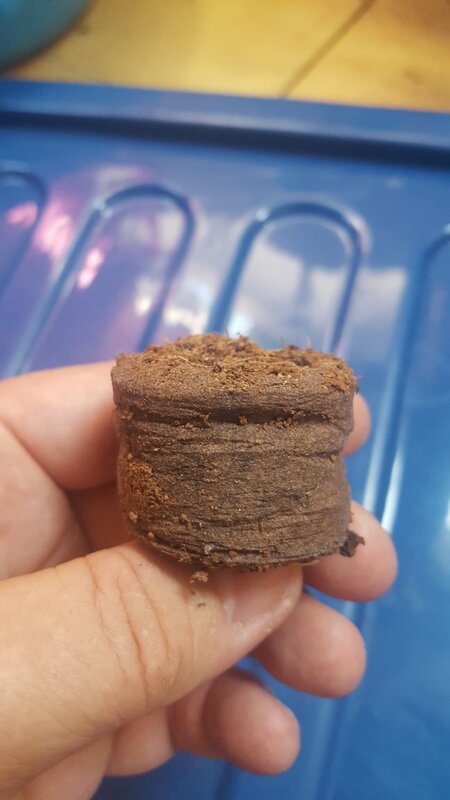 I particularly like the idea of using biodegradable boxes/cups filled with coir. Thanks Thian! Best advice I've read in a long time. Or you put a large leave in a plastic pot before filling it with coir. 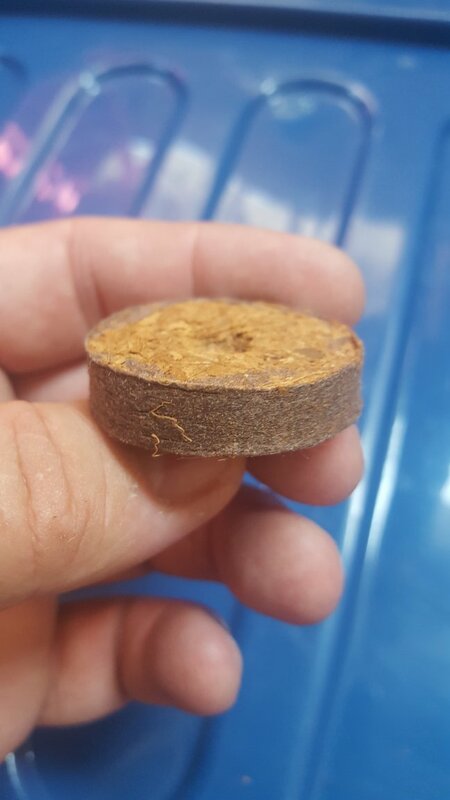 after a while you lift the coir out with that leave and plant it. Just look around what you can find, anything natural will do i think....or maybe papaya's that you scooped the meat out to eat...or cardboard which you fold into a pot...earthworms eat that. Or cotton socks, tshirts....anything made from natural material. I've seen biodegradable pots made from cardboard-slurry...you make wet cardboard fibres, stuck it between two plantpots and put it in the sun to dry...maybe it needs some natural glue to be stronger, some cornflower or so....maybe if you google for that there's a recipe somewhere online. That's better than whan I had in mind.